Again, I respect to ur views and ur views r correct but with the humble request "YOU ARE FOLLOWED STRONGLY BY THE YOUNGER GENERATION"
As an atheist I found the 'Rama Katha Rasavahini' written by Sai Baba of Puttaparthi very intriguing. As the name suggests, it is a rasa vahini. A river of emotions. Its almost as if it was written by Lakshmana who was present from the beginning till the end. I had read it in the year 2002. So the details are a bit vague. It is written as a two volume series and is quite extensive. "I overheard the following comment in a discussion of Sita's banishment among a group of retired female schoolteachers in Chennai (January 2004): "Sita always looked for the best. She didn't go to just any ashram. She went to the #1 best ashram in the area, Valmiki's ashram, to ensure that her boys got a tip-top education"
I think that the questions you ask are very pertinent. I can sense your frustrations with the so-called 'answers'. But here's what I believe - not my own thoughts, but the best explanation I have heard so far, which I'm sure you must have heard too. Krishna was the avatar that reflected "man as he should be" while Rama was the avatar that reflected "man as he is as he tries to be perfect." There are questions like - why did he abandon the country and go to the forest, putting his father and step-mother's wishes before the well-being of the country, but not apply the same logic when it came to his wife? I don't know if this is satisfactory, but man is capricious. He acts on what he thinks is the best decision at any given moment. Ultimately, he made some decisions which augured poorly for those closest to him. I don't interpret that those decisions really 'upheld dharma' because I don't think any school of dharma advocates abandoning a pregnant woman, no matter what her fault is. I think it shows the fraility of Rama, the man. The question is, what happens to one's faith then when we acknowledge the fraility of the avatar? The answer is again something I was told - that the point is to love the atma-chaitinyam within oneself, forgiving one's own mistakes and go on the path of being a better human being. When one loves Rama, it has to be along with the faults one perceives in his actions while being aware of them. I don't know whether Rama had a pang of realization about the extent of suffering he had inflicted on Sita, but my faith tells me that he was remorseful. It is hard to have faith in an imperfect God, for if He is not perfect then what hope is there for us? But maybe there is strength in the fact that if even Gods suffered so much on earth, maybe our sufferings can be borne too.I don't know. If you find a better explanation, please let us know. Also, the epics were written by men, and i have heard that the Uttara-kanda (where Sita's agnipravesham and the banishment are covered) was added later, perhaps to satisfy some 'washerman's ugly doubt. Rama followed letter of the law instead of the spirit of the law. He is a single dimensional avatar, just concerned about the rules. If not, he would not have deserted his citizens in the first place trying to fulfill a meaningless promise his father made to kaikeyi. The evolution of Rama is Krishna, a multidimensional avatar who respected the spirit of the law versus the letter of the law. Nice blog, with a good analysis. Many of the translations, especially the shorter version they skip the last part and make it a happy ending. u have raisen some of the questions which i have been used to ask with mom and dad, whenever i see ramayana. i will just tell my view. hope i will not be boring you. 1. Rama has done so much of mistakes. Every human being wants to know the reason before getting punishment. Being queen of Ayodhya Rama has not given that chance to Sita. This shows his male chauvinist (hope i am not harsh). As you told his heart would have broken if he had to break the news, he knows he is going to do a wrong thing, but he did it for the sake of outside people. cant able to find a justification for this point. 2. When Lakshmana is ordered to drop her. I ask you one thing, why Rama ordered Lakshmana to drop her in forest. There are so many places where the queen can live safe. Even Rama can send her back to her father. A king means he should try to find a solution for every problem. I dont think that sending sita to forest not all a solution. He did a mistake again. If he send her coz of the words of washerman means why dont he even decent dwelling for her. If Valmiki does not finds Sita, Wat is the position? She might have caught dead by some animals in the forest. 3. No words about this point. ""ANNANUM NOKINAAL AVALUM NOOKINAL" we always used these words to show the pure love of Rama and Sita. If Rama has pure love for Sita, he must try to find her. A heartless man how can be expected to show love? When that washerman's wife came to meet Rama at Ayodhya. Some of the security guards has sent her back saying that she will not be able to meet Rama at untime. On knowing Rama will ask the security to search for that lady to give justice to her. When a King like to do give gud justice to a citizen of his country, where is his justice when it comes to his wife. Everybody will not be 100% good human being. Everybody might have done some mistakes in their life. But Rama had did to his wife and children was unforgivable, which Rama might have not done when he is in the position of a leader. When Rama goes to forest as told by his father without knowing any reason, Sita went with him telling raman irukkum idamae sitaikkum ayothi. If she didnt go with him, she might have lived a nice life. What Rama has did to his wife Sita is still happening in the world. Now Rama is model for many persons for his wrong doing of sending Sita to forest. and Sita is the role model for every woman who will tolerate everything as per his husband's orders. Above all, he fails in his goodness to be good husband and a good father. Thanks for posting such a nice blog. Everyone's view differs. Lets see if v can find actual answers to your doubts. It's because on those days a woman is considered suspectable even if she spends a single night at a stranger's home. Her chastity is questionable. A King must be a role model to his subjects. He must sacrifice his own life and pleasures for the people. That is why he sent Sita because the views and welfare of subjects were given much importance, which is unimaginable in our current era. And i would like to mention that Rama never suspected Sita. He knew that she was pure and that's why he never punished Sita. But he respected Subject's opinion, and so as an ideal leader he separated himself from her. In Valmiki's UTTARAKANDA Ramayana, No Such Incidence of War ever takes place between the Father & Sons. Please refer from Section 108 of Uttarakhanda to know what happened. I am not competent to comment about this subject.I was a bit frustrated when you tweeted about 'Rama was not a good husband'.but when I asked about this to my husband, (like straight from the horse mouth:p)his reply was completely agree with your views.He said that Rama was not a good husband, if he were, he wouldn't have sent Sita to forest.Others like Krishna , Muruka had more than one wives and they led happy life. At the same time Rama had only a wife (eka pathni), Sita, he could not make her happy untill the end of his life. My husband also said that 'Ramayana' was written only for Sita Devi.Hope Everyone,especially those who made argument with you about this topic,would be read your views here.Thank you for such a nice blog. He did not separate himself from her! he sent her to the forest( read punished)! Before analyzing any event, it is essential to take the social norms, thought patterns, culture prevailed in that time into account. Every time has its relative truth and relative religion which is good only for that duration. The same thing can become untruth and Adharma in different time. If you judge any event mentioned in your post in worldly life norms, it must be classified as brutal or remorseful. However, to understand the context of this story, you have to understand the person Ram and Sita were and their belief system, their innate nature. And yes, I am not talking about Ram the Avatar. I am talking about Ram the human being, who always lived for the sake of others. You might have heard about “Yoga Vashishta”. Shri Ram goes for pilgrimage and gets sahaj vairagya after seeing the apparent reality of the world. This worries his father, King Dasaratha. Sage Vasistha consoles the king by telling him that Ram’s vairagya is a sign that he is now ready for spiritual enlightenment. He says that Ram has begun understanding profound spiritual truths, which is the cause of his confusion and he just needs clear guidance. The sage begins the discussion with Ram which is called “Yoga-Vashishtha”. Ram talks about impermanence of all things and shows his disinterest in any Karma. He argues that nothing is permanent and no Karma gives permanent joy. Then why should we do Karma? Guru Vashishtha narrates him various stories and teaches him about science of Karma and more. Yoga Vasistha is considered amongst the most important scripture of the Vedantic philosophy. This is to give an idea that Ram always had that spiritual base on which he tried to direct all his life actions. Now coming back to the questions. Suffering has different definitions for each. For some, not getting their mind conceived requirements is called suffering. For some, staying with loved one with seemingly hellish situation is not suffering. The point is, it all depends on the person. You and me can not decide if Sita suffered by going to forest with her husband or not. You and me can only put ourselves in that situation and judge. If I remember correctly, when Ram denied her to come with him in forest, she gave the same argument that for her the real punishment would be to stay behind her husband. That clearly shows her stance there. When Ram abandons Sita, it is a punishment for both of them, not for Sita alone as they loved each other so much that their souls were entwined. Later, when Ram performs Ashvamedha Yagna it required a ritual with wife by his side. People advised him to take another wife but he refuses and endorses his position as ekam-patni-vrata – the only character in Hindu chronicles to be so. That Ram uses gold to make the image of Sita is significant. Gold is the purest of metals that can never be contaminated or corrupted. Thus, symbolically, Ram the husband projects to his people his own opinion of his wife. He does not doubt her chastity. Now the question is: is it justice for a husband to abandon a woman on the ground of adultery ? Even for the person who famously liberates unfaithful Ahalya ? It seems it has nothing to do with issue of adultery but issue of governance. Should governance be determined by a king’s will or by public opinion or both ? That remains a question without clear cut answer. That Ram never tried to find Sita makes my heart churn in agony. Just think of the situation of Ram and Sita. For what they were living separately ? for personal good, or that of the kingdom ? After Sita gone, Ram the husband loses all interest in worldly life. But Ram the king continues to do his royal duty until death comes to him. You might like to read the book “The book of Ram” By Devdutt Pattanaik. It gives very unbiased take on Ram. It is very small book of 200 mid side pages. You might also like to read other books of same author on mythology. @ Suchi : Nice points. I think the idea of perfect God has done more harm than good to us. We just worship them and argue that we can not become like them because they were the perfect Gods. I would rather prefer imperfect ones who constantly tried on the path leading to perfection. Gandhiji motivates all because he was just like us, succumbing to all temptations like stealing, speaking lie, lust etc. But he did honest effort to go beyond all these. An honest attempt is all we need. One can argue about actions that Ram did. But one can not argue about the inner intentions of him. Our faith in Gandhiji has not diminished after reading his autobiography. In fact, it has only increased. Same for Ram. On a side note: All suffering is essentially mind illusions. Your mind judges each situation according to old belief, dogmas, thought patterns and labels the situation as suffering. In reality, everything just is. There are only situations to be dealt with. Blaming never removes pain. Self awareness only removes the illusion of suffering. @ Anonymous on 17th December, 8:54 PM : That seemingly meaningless promise could have big relevance to the peace of Ayodhya. Imagine the coup in Ayodhya and 2 groups fighting with each other. If we put ourselves in same situation, just see what our reaction could be ? Anger, Injustice, rage, violence ?? Could we see the situation as it is and play our role in it ? It is very hard to be the way Ram was. Only a spiritually highly advanced person can act like this. @ பவி: Whatever I have read, it showed that Sita knew about the situation and the reason for her abolishment. She only thought that it is for some short time, not permanent. In those times, forests were highly populated with Rishis and Ashrams. Lakshman deliberately dropped her very near to Valmiki Ashram but didn’t get enough courage to meet the sage. That is the reason Sage Valmiki found her very easily. I differ about your observation : If she didnt go with him, she might have lived a nice life.” The reason is given above. I am an atheist(was a practicing Hindu till my 15years of age). I just see all these scriptures as mere stories. The first incident which made me to question my religion was seeing a television series about a avatar of vishu. Varaha (Sanskrit: वराह) is the third Avatar of the Hindu Godhead Vishnu, in the form of a Boar. He appeared in order to defeat Hiranyaksha, a demon who had taken the Earth (Prithvi) and carried it to the bottom of what is described as the cosmic ocean in the story. The battle between Varaha and Hiranyaksha is believed to have lasted for a thousand years, which the former finally won. Varaha carried the Earth out of the ocean between his tusks and restored it to its place in the universe. How can Varaha take the earth out of the ocean? Blatantly illogical. These things are just created by people who didnt know anything about the universe. They though earth and ocean were different. "Valmiki's Ramayana is believed to be the first poetic work written in Sanskrit; it is, therefore, referred to as the Adikavya. It is said that Brahma assured Valmiki that "as long as the mountains stand and the rivers flow, so long shall the Ramayana be read by men". In the Puranas, Rama is described as an avatar of Vishnu, but Valmiki does not refer to him as God. The few verses which do so are considered interpolations. The Ramayana consists of 24,000 verses. There are six sections - The Bala Kanda, the Ayodhya Kanda, the Aranya Kanda, the Kishkindha Kanda, the Sundara Kanda and the Yuddha Kanda. The seventh section, the Uttara Kanda, is probably an interpolation." It may be noted that Rama has lived a whole life as a MAN rather than a GOD and he has taken decisions based just on the state of mind he was in/based on situations just like any of us. He has made some lousy(sorry for the harsh word, but that is all I can think of now!) decisions like taking dad's words as vedha vaaku, making his wife suffer because some washerman said something, abandoning his wife when she was pregnant etc., etc. In fact, through another story I came to know that the avatar of Rama came to an end when, after Sita left to her mother, Rama was so distressed to live in a place where Sita was not there and so went into oblivion. Now, one can question if Rama was actually concerned about his subjects. Rather he acted for himself. Now I request someone to explain to me what made Rama to make such a decision. It was a pleasure reading your posts and I hope you write more. Actually was waiting for you to be back into blogging. To tell you the truth, I started admiring and respecting you as a person only after reading your blogs! Well, after reading a book named 'Ramayana Vishavruksha' authored by Sri Ranganayakamma (actually its Telugu book but got translated in English too) .. it totally changed my perspective towards our history and epics. It rips off the fallacies and undoubtedly brings Rama in bad light (true light?). Not that it is written against the Hindu Dharma but how the history was manipulated, tarred according to the then times and molded to best suit the ruling sects. Just to mention a point to start with, its clearly mentioned in Valmiki Ramayana that Rama is very much aware of the fact that Dasharatha promised Kaikeyee to make Bharata the King of Ayodhya long before Rama accepted to take the throne. That questions the morality of Rama. This is just an example. The book shows endless references where Rama is shown in bad light, logically and with accurate references from Valmiki Ramaya of course. The author refers the epic work of Valmiki as just the beginning of Indian literature and story telling, molded and manipulated by the then rulers. Chinmayi, I was left with the same questions when I watched Ramayanam (in Sun TV-the dubbed version of NDTV Production; that was when I knew the story of Ramayan).I was furious at Ram for leaving his wife to suffer. I was even more cross when he chose to make her do the fire-test to prove herself, when she returned back, after nearly ten years of her leaving Ayodhya! But when I listened to the dialogues and when my family elders told me what actually happened, I understood that Ram had not taken this decision for himself! When he first banishes her, he does it because his countrymen wanted him to do so. I know he had his own brains, but he did not doubt his wife even a bit! He knew about her purity until he lived. When all his countrymen wanted her to be sent away for spending a year at Raavan's place (at the time when women were not given equal rights), he had no other way than to do what people wanted him to do. If he had not done it, his men would have thought he was an unjust ruler. We are talking about centuries back, not today, so its understandable what people could have talked when someone's wife was at another man's place for a YEAR. We are still battling such issues in 2011. So, Ram was not a good husband, its right, but he was a good ruler. Rajdharma was more important to kings at those times more than their families. Rajdharma was what Ram did too. But Ram had true love for his wife all along, as pure as Sita's love. He was in pain all along when he was away from her. They were a made-for-each-other couple, sadly not meant to live together as Ram and Sita but they did in other avatars. This Ramayan was more of a lesson for people till today and it was meant to be so and sad. And yes, I would say Lakshman was a better person than Ram! He had been most loyal to Ram and Sita, and he worshiped them all along! Yes, Urmila spent all her life missing Lakshman, away from him, yet never complaining, totally understanding and supportive of her husband. These epic characters are definitely inspiring and do teach us one or two lessons in life. I had a similar post sometime back. A very interesting post.! I do not have any links to share, but do know that the same questions i've also had. Ramayana, as we know is an epic, in the sense written in pure Sanskrit poetic tradition, therefore every interpretation is different ultimately. When at our school, we first read the poem "Daffodils", by Wordsworth, it so happened that each one of us friends had imagined that field of daffodils, however i'm sure no two of us would have imagined the same looking field. That's the beauty of poetry. Having said that I think it is in this part that the whole story of Ramayana becomes interesting. What was till then simply a tale of good versus evil becomes more mortal and human. It is in this final epilogue, if you ask me that Sita's character becomes a cut above that of Rama's. While Rama gets painted in slightly grey shades in our mind, Sita goes on to turn pure, pristine white. Sita is also in many ways a woman of today. The endurance as much as Mother Earth can take, is what Sita also exemplifies as she embraces Bhoomi Devi. The all-pervading lord, that Rama, was , he was probably playing as per the script that he had himself probably written, living a life that teaches the world so many things, and yet in one final master stroke elevating Sita to the heights, at the cost of casting doubts on his own character. I agree to several of the comments here.. All have definitely beautiful interpretations. It is to Ramayana's credit that it is still being actively discussed. Raj Neethi or Raj Dharma is above all. It is above his personal interests and love for Sita. He does not have the courage to tell that he is sending Sita to forest as he himself could not control breaking out. Neither do Lakshmana. So he orders as King to lakshmana to leave her in forest. Note: He asks Lakshmana to leave her near the Ashram of Vaalmiki (as per the movie). Due to their(Rama/Lakshmana) guilty feeling it would not have been possible for them for a proper hand over to Vaalmiki. I think this answers one of your questions. Why Rama did not check the safety and wareabouts of Sita? I don't have an answer. May be he was sure either Valmiki or Sita would meet each other in the forest. I am returning to your blog after a long time, and I am glad that you mentioned this article on Twitter, which prompted me to return. Whether you believe that Rama is an incarnation of God, or whether you believe that Rama is a mere human and that the Ramayana is a just a story is immaterial to the discussion. I certainly believe that the very fact that you have started questioning the actions of the protagonist of the Ramayana serves the purpose behind the existence of the text. The Ramayana and the Mahabharatha, whether real or fiction, describes the lives of hundreds of people to great depth. Reading these texts encourages an individual to ask questions like the ones you are posing and to learn from the experiences of the characters in those texts. And when there is a true seeking to know, which I see in you now, a person tends to scrutinize and evaluate every step he/she takes in life. Personally, I remember reading a short version of the Mahabharatha during school days, and till date, I can remind myself of instances from the story, which help me take better decisions (It's been more than a decade since I read it). Also, I would like to mention that our culture (Whether you want to call it the Indian culture or the Hindu culture makes no difference), is one of the foremost in propagating the idea of Karma. In essence, every action has a consequence, whether you are God, or human. And when a decision or action is made, a person has to consider the consequence and take appropriate action, however, there WILL BE a consequence for the action. When we are aware of the consequence, it becomes the chosen path, when we are unaware, we choose to call it fate. For example, your conscious decision not to have a discussion about this topic on Twitter, is based on certain consequences that you may have wanted to avoid. And when you apparently did tweet about Rama not being a good husband, I am quite sure that you were aware of what you were saying and that you were prepared for the possible 'consequences', if you want to call it that. Therefore, all your questions are quite valid moral questions. But, as I mentioned, the very fact that you are asking such questions, in my perspective, is the very purpose behind the existence of such texts. Seek, and you shall find. Great work with the article. Do write more. I have always questioned the credibility of both the epics (Ramayana & Mahabaratha, more on Ramayana) whether they have documented the history or those are just stories reflecting the thoughts of the society at that time? I remember my Sanskrit Guruji telling us that, there were certain rules to be followed when a literary work was done in Sanskrit during those period. They should end with a happy note was one of the many rules followed. With an exception to "Karna Bhara", majority of the works were ended on a happy note. He believed that the original Ramayana ended with Pattabishekam. As many of the comments suggested, Uttra Kanda was added later. So if that was the case and if we believe Valmiki had captured history, then many of these questions are ruled out. May be authors of later period have added their own bit, reflecting the thoughts of the society at that time. As Suchi said to shut the mouth of some 'washerman' perhaps. Mahabaratha for the matter, originally contained only 18,000 slokas (as I remember to be told by my Sanskrit Ji), but the Mahabaratha we know now has more than 2 lakhs slokas. So was it history or not? Was it only written by Vyasar or by whom and all? I don't dispute the fact that the places referred in the epics are still there, some evidence of war so on so forth. But don't you think, it is the artists/writer's privilege to exaggerate the truth & tell them as he has seen & felt it? How much of truth is reflected in any stories/novels for that matter? These epics in my view were written in order to keep the morals of the society, insisting on the rights & wrongs. Trying to regulate the society to certain extent. In the path the current society is going, I don't think any epic can have any influence. Though there is no doubt that it makes an interesting topic to discuss. Sri ramajayam. . Sri ramajayam . . . Sri ramajayam . . 108. Sri ramajayam. Thank u! I'm blessed to write such kinda things by lord Rama. I'm very sorry! Have lot of wishes to answer your questions! Don't have knowledge and sense! before going through to the set of questions u wanted to ask on Rama, first of all let me tell u one thing.Rama never wanted Sita to do agni pariksha.He spoke such hard words to Sita that she could not tolerate it and so she decided to bath in fire by herself.Finally what happened? Agni the lord himself appeared with Sita and vouched to the entire world that Sita is the "Pathivratha". Thus she was able to prove to the whole world about her purity only because of the sort of hard treatment Rama inflicted on Devi Sita. If Rama was soft and accepted her just like that now no body will adore Sita as we are doing now. Only because Sita drowned herself in fire, now we are eulogising her as "Pathi Vratha". When a god of Agni himself arrived and said to the whole world about the purity of Sita then no one can doubt it. Again the same Agni chose to spare Hanuman when the latter's tail was on fire only because Sita prayed to Agni stating that if her Pathi Vratha Dharma is correct then fire should not harm Hanuman. Thus, the fire did not harm Hanuman giving respect to the Pathi Vratha Dharma Sita was following. So, Sita was Pathi Vratha no doubt but how many of them knew these things sitting in Ayodhya. So, Ram wanted to show not only the limited Vanara sena or Vibhishana the purity of Sita but also he wanted to show it to the entire world. It was then he listened to a washerman who had raised some ambiguities on Sita's chastity. That washerman never requested Sita to be thrown out. But Rama felt that his Ayodhya people should learn by themselves the purity of Sita. Thus he relinquished Sita. Yes, he did not say anything to her while sending her to exile. How could Rama tell his own wife that the "people are doubting you and so I am leaving you?". If that happened and if Sita had to weep on account of her own people then that tears of hers would have harmed the entire people for having made one of the greatest Pathi vrathas to weep. So, Rama did not tell her about it. And as far as leaving her abruptly in a jungle without placing her in a separate dwelling I can say one thing. See, when Rama, Lakshmana and Sita went to exile, Dasaratha first requested Sumanthra to send all his troops along with him with all sorts of facilities possible. But Kaikeyi rejected to accept it saying when a person was sent to exile such type of special things should not be given to him. Rama was not only Sita Rama but he was also more importantly a Raja Rama. So, as a Raja say for example if he was exiling anybody he has to do it without any parity to that person who had to endure the punishment. Any person who was exiled would not have been entrusted a special dwelling as that would not be called as a punishment. So, Sita was just left in the forest without her being sent to a special place. Sita had not done any crime alright. But, just because she was the wife of Raja Rama, Rama could not give her a special treatment as she was his wife. Ofcourse Ram knew full well she was the immaculate wife of his but still in the eyes of his own prajas she was not so. So, with due respect to his own prajas he did it. He knew well that the same Sita who was refused to be burnt even by the fire God would not suffer anywhere even when left in the jungle. So, he had no worries about the whereabouts of Sita.He chose to live Brahmachari life giving respect to Sita for his entire life of 11000 years afterwords.Rama loved and adored his wife so much that when he was asked to remarry for conducting Ashwameda Yaga, he never did it. Instead, he kept with himself an idol representing Devi Sita as his wife throughout the yaga. So, Rama never doubted Sita is all I can say and I would like to say to you please don't doubt Lord Rama. He is the one who we have to follow in our entire life. As a kid who watched Ramayan as a "teaching of our culture", I have wondered some these same questions, but haven't expressed yet due to set beliefs of my surrounding peers! Glad to see someone else also thinks alike! For all intent and purpose, I am an American who can empathize with your questioning of this incident from what we consider a sacred text, a story of God. But I am also a student of Ramanuja Vaishnavism, who puts my questioning in light of what I have learned from my mentors. From this latter perspective, I can offer the conclusions of Swamy Pillai Lokachariar in saying that the three tests of Sita, her kidnapping, her proof of her chastity through the fire, and her eventual banishment are metaphors to share messages with all of us. In this third case of her banishment, it is really intended to show how the male concept of god that we all hold onto is really nothing without the sacred feminine. As you know from dubbing this Telugu story, Rama's kingdom suffers greatly from Sita's banishment, and Rama Himself, an avathara of God, undergoes self-imposed suffering. The feminine in Tamil theology always represents compassion and nurturing. So, for God to be separated from His Mercy is to reject His Own Divinity. Consequently, His rejection of Sita led to His own demise. In Her not wanting to return, it shows how much stronger She is than His maleness, His Male Ego, His Supremacy. The Love that binds us to each other and to Him is Greater than God Himself. My American side holds a different view. Each day I worship a small Rama vigraha along with the salagramams that I keep. I find myself questioning my worshiping this form. But, then I realize the power of forgiveness in doing so. For in worshiping His Image, I am forgiving Him for the mistakes He made. If I can forgive an idol, then perhaps I will find it in myself to understand and forgive others. Alrite my take on this: ramayana n mahabharata are scripts for an epic drama. They were probabaly inspired from real life incidents, with typical hero, his grl, and bad guy (whose past isnt much worth a mention). Anyway all kinds of human behaviour: good, bad, and ugly, finds its place in the story. The story just suggests values/guidelines worth living by. I also understand that this dosnt deem that the hero cud be irrational. Why did ram want sita out: like someone mentioned earlier..... As a king ram must have the respect of his people......n as a king he is responsible for more lives than as a husband/father. Later since he wanted a hier to the throne and knowing that his sons r kshatriy 'anyway' he must have chose them to lead. Inda ramar kadaya saaka vechundu pondatti, kozhandaigala ubeshikaravala bhagavan dadipara illaya? Enna porutha vara this is the only unanswered kelvi! One being the authenticity of Ramar sending Seetha away. From what i understand some have interpreted and says as it never happened. Some say as in different versions. Secondly, apart from this scene or instance, have Ramar done anything bad to Seetha or any woman, in this nature. I read the comments to see that most are always criticizing that its a man's world etc. It is true to tell women did not have the freedom in many areas in the past, even now, but it does not imply Ramar should be put in the same category. Interesting topic,well interpretations galore will not be enough to settle this issue, but it lies in the perception of the individual, one see a glass half full and another half empty. One in support for Ram and the other for Sita, My perception of this topic that you have raised is TOLERANCE, Sita has TOLERATED being sent away. There is a very thin line between TOLERANCE and STANDING UP and not tolerating. These days if you tolerate something you are called a fool...in this case Sita has tolerated Rama's whims and fancies,now raising the big question WHY. It is all about the individual. RIGHT/WRONG, TO tolerate/Not, to accept/not. These are choices that lie with the individual, and the choices they make,they become. I FEEL SITA WAS AN EPITOME OF TOLERANCE, but WHY ? would be a good case of WHAT IF ? analysis. Someone above says Ram had to set a good example. The welfare of his subjects (more in number) was greater than that of his wife(only one in number. So tell me. If people doubted Sita, Rama could have abdicated the throne and gone to the forest with Sita, right? Why didn't he? To keep up his father's promise he went to the forest for 14 years and Bharat ruled. Why could he not let Bharat rule and have gone to the forest with Sita instead of abandoning her? Bharat had done a good job of ruling in his absence! To anonymous who will not get your comment posted here. You need a shrink actually :)Get some help if that can actually help someone as deranged as you. Ram The great: If it is about the tears, she had shed enough in the forest when she had not a clue about why her husband sent her away. That should have hurt the people of Ayodhya. But when Bhoomi Devi comes to curse the people, she stops her mother asking her not to do it. I would accept it if it were punishment. But the 'punishment' itself was unjust.And I have also not said that Rama doubted Sita. he trusted her. He knew her. But finally in my opinion he didn't treat her well. Thats all. First of all, hats off to the amount of involvement you are having in your work meaning you did not just speak the dialogues you had a thought process for that. I don't know any specific book supporting the points you were mentioning. My view in this is that, Ramayana is a story and its screen play is written by too many people. Because of all these screen plays we are unable to locate the exact story. Everybody have got their own view on the story Ramayana.Also,if you could get a chance of speaking with the director of the film you were dubbing we may get some clue which book he got these references or it his own standpoint. If you get more info on this, do share us. forget the ordinary in him. swallowed up by the earth, but we do not hear a single protest from her father or mother. of the Janakas, but this greatness of his is of no help to Sita in her times of need. opportunity to face them entirely on her own. read, Ramakatha Rasavahini written by Sri Sathya Sai Baba. The Answer is there and it is quite specific. Rama was simply following the rules of manushastra to its minutest detail. Washerman is a metaphor for the public. Most redactions of valmiki's book shows complete public disapproval of seetha being queen and loss of trust in Rama as a result bringing her back. Not knowing whereabouts of one's wife is a basic rule in abdicating relationship with her. It is very similar to manu shastra's rule on a sanyasi not maintaining any contacts with his poorvashramam relatives. Knowing whereabouts of estranged wife will naturally cause rama to take care for her and protect her. This goes against the basic intention to severe all contacts with her. Any questions on rama is always simply answered by 'what is the shastra ruling on the issue' and it will be very precise. it may not be popular or digestable to a modern person but very precise. sad that np one cares to read manu shastra today. It is one of the best codes written. Do you know how our ancestors predicted astronomy? Abirami Anthathi says how our soul departs/ which is the last part of our body works while we die... how did they know? நன்றி - சிவா சூலூர் . 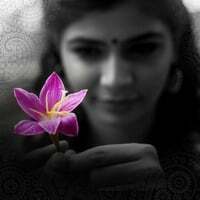 Chinmayi, I used to follow your blog whenever I find time. I found this post very interesting. Good analysis!! Once sage Brihu's wife safeguarded asuras that pleaded refugee by allowing them to stay in the sage's ashramam, thus preventing devas to attack the asuras. Devas complained this deed of Brihu's wife to lord Vishnu. Lord Vishnu lost temper and kills the rishi pathni with his sudharsana chakra and because of that (Vishnu) acquires curse from sage Brihu the Vishnu will be born as a man and will experience the hardship of parting his wife. Though the rishi immediately regrets for having cursed Vishnu in haste, Vishnu accepts the curse. Please read Cho sir's "Valmiki Ramayanam" for more details. Chimmayi, I follow ur posts whenever I find time. I felt Cho Ramasamy's Valmiki Ramayanam, Baala Kaandam 3rd chapter would answer your question. The author quotes that the reason for this unfortunate incident is the curse Lord Vishnu gets from Sage Brihu. Really made sense to me. It is a story . . . just a story . . . of a son of a king who is having 40k+ wives . . . a male fantasy . . . told to make the women . . . as . . . a dumb and evil force . . . all happened cause Sita wants that Golden Deer . . . . TYPE OF ARGUMENTS ! But if you accept the divinity avatar view point . . . it is all a drama . . . if rama knows his purpose.. sita .. the lakshmi avatar too knows this episodes and acted upon it ! Simple ! 2.He must sacrifice his own life and pleasures for the people. That is why he sent Sita because the views and welfare of subjects were given much importance. 1.In Ramayana, The King Ram actually LIED, he faked, he gave punishment to a innocent being - This is how a king should be? This is what dharma is? Just because few ppl suspects, the king need not to make fake things to satisfy them. a true king should be rational and should stand by truth what ever hurdles comes in his way. Chinmayee Ji, you are so innocent. Your questions are general questions regarding Lord Ram. Almost all people have these questions in their mind. The reason is leela of Lord Sita Ram ji. People generally under-estimate Sita ji. Sita ji is nothing but the creator of universe. And the story of Lord Sita Ram is not only played by Lord Ram but it was combined play of Lord Ram and Sita Ji. It was the plan of both Lord Ram and Sita to send Sita to forest. Because they both are Yug drishta and they did leela which will teach people over Yugas. Now I give you the answer of your main question ("Why Lord Ram did mistake?"). Lord Ram did mistake because Lord Rama and Sita wanted people to understand that He (Lord Rama) really did mistake. Now, in present time, as all people have deep fatih that Lord Ram did wrong, and they will not follow it if it will happen to their own lives. For example, suppose if someone kidnap a married female member of your family, and you will get her back, your viewpoint will be to accept her as pure, because has deep faith that i will not follow the same mistake Lord Rama did. Sorry for example. Please do not take it personally. But all people have the same faith in their hearts. That was the result Lord Rama and Goddess Sita wanted over the Yugas. This way He did this for welfare of society over the Yugas. Nice thoughts on the Pativratas, thanks for sharing. One cannot stop thinking about Draupadi while talking about Pativratas. She is considered to be 'Kula Devata' and/ or 'Grama Devatha' by many people. In fact, there are many shrines for Goddess Draupadi, spread in Andhra Pradesh, Tamil Nadu and Karnataka. One of the shrines, where She is a Grama-Devatha and Kula-Devatha to many, is located in one of the small villages of Tamil Nadu. Draupadi Amman Thunai - May you all be BLESSED by HER grace! !